When you are finally fed up with it and you turn to a Tarot reading to show you the way, the Eight of Cups says that it is just time to leave. When a relationship is getting abusive, when a friend is increasingly disrespectful, when a parent cannot accept you are now an adult who must make independent decisions, the Eight of Cups indicates that it is time to go. 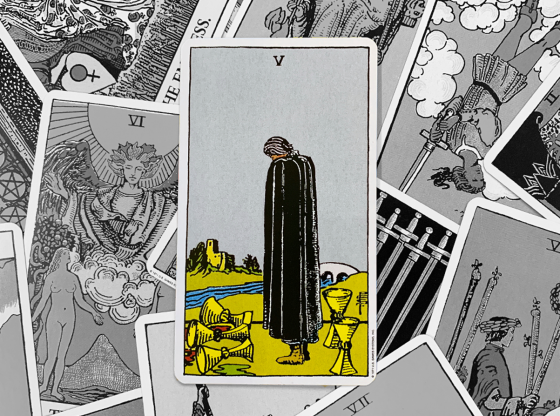 When your self-obsession is alienating a partner and you cannot understand why this person is packing up and moving on, the Eight of Cups might have appeared in his or her Tarot reading, and it may have landed in yours. A red-robed traveler is departing under a gloomy sky with a crescent moon and a sad faced disc upon it. The landscape is rocky and appears to be an inlet to some vast sea or ocean off beyond the mountainous rocks ahead. In the foreground are eight Cups. There is a row of five and on top of this row are three more. Two of them are separated by a gap from the third. The Cups in this card seem to be on a ledge in a windowsill, indicating that there is a leaving of an interior space into an exterior space. 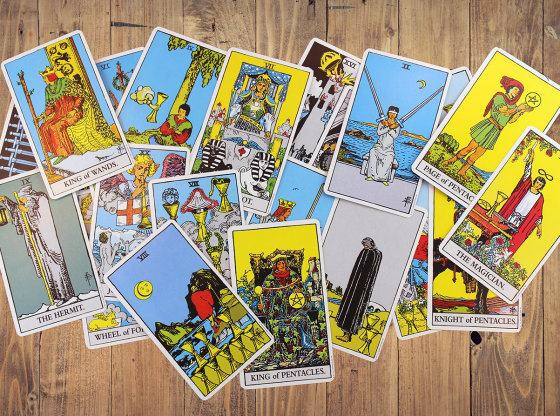 The gap in the top row of Cups signifies lost love, as Cups are the Tarot suit of emotion. The person walking is not showing his or her face, indicating that there is no looking back and perhaps a contempt for the situation that caused this person to leave. The walking stick indicates that it will be a long journey ahead. The sad faced disc is thought to be the dark part of the crescent moon. It is illuminated only to illustrate the weariness that this card illustrates. A crescent moon is a signal of a new beginning. When the dark face of the moon seems bright by comparison to your own emotional sadness, it is time to change direction and move on in life. The landscape suggests that it may not be easy for you to move on, but the fact that you would attempt to navigate such rough terrain only asserts what a terrible place you have been occupying to send you out that way. 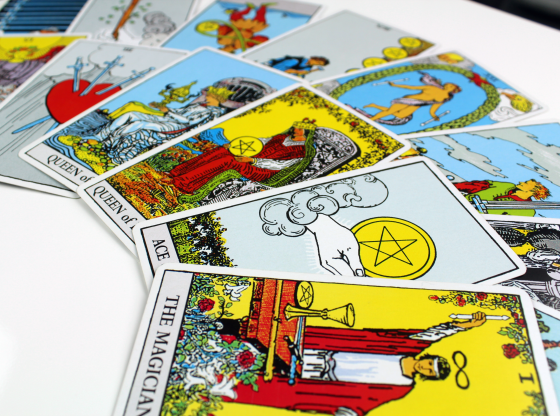 When your Tarot reading arrives, the cards are shuffled and some are placed face up in different sections. These sections represent your past, your present and your future. When the Eight of Cups is in the past position in your Tarot reading, you might have a sad tale to tell from your childhood that shaped you. The energy of this card in this position points to escaping and by abandoning things rather than coping with them. If this is a pattern in your life right now, look back to what happened in your childhood that may have caused you to adopt avoidance as a coping mechanism. The Eight of Cups is at its most powerful in the present position. This card reveals the fundamental hopelessness of a current relationship, job or other stressful situation. 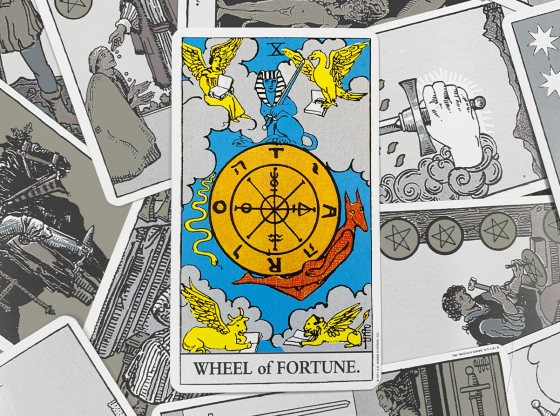 If you have been considering moving on, this card and its message will come as no surprise when it appears in the present position of your Tarot reading. 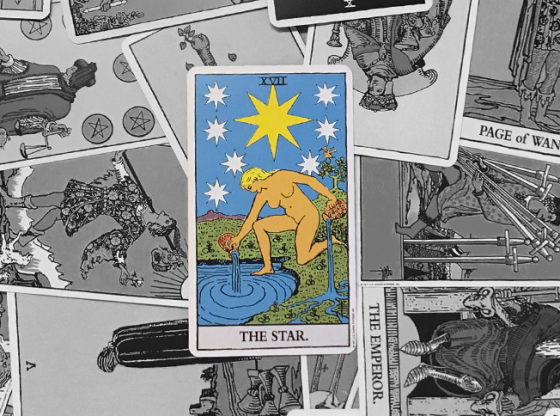 The strength of this card is in the person actually having left the situation – this is a motivation for you to make a radical change with your current situation. If life is fine and dandy and you cannot imagine things changing, the Eight of Cups is a card that insists you look around at those closest to you and confronts you with the notion that these people might not be at all happy with the way things are going. 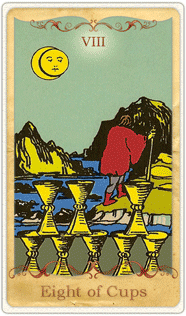 The Eight of Cups may wake you up from a state of obliviousness. In that regard, this can be a card of empathy. When placed in the future position, the Eight of Cups is a signal that you may be on the path to becoming worn out, drained and otherwise left without any energy. 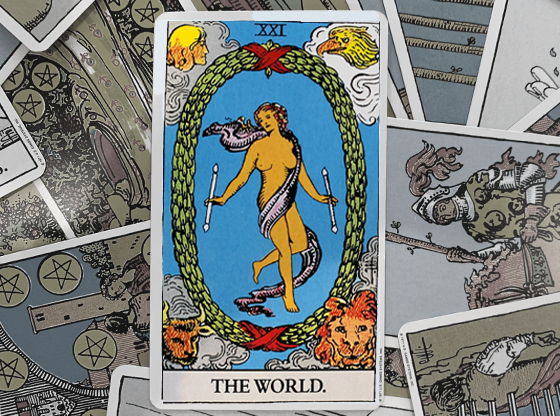 Sometimes a Tarot reading will have many happy moments in the past and present situation and when this card shows up in the future, it is assumed to be an omen of bad news ahead. 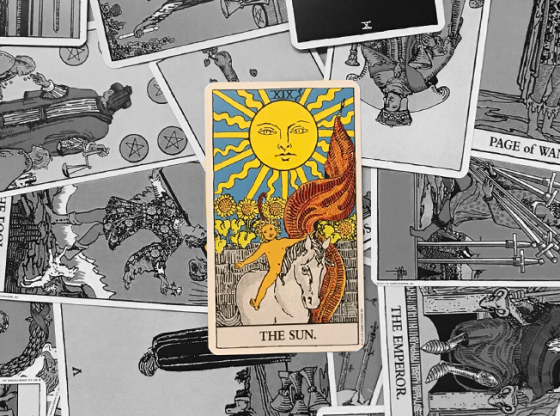 To the contrary, the power of receiving the Tarot reading is to let you know in advance that some of the things that seem great now might have a side to them that has yet to reveal itself to you. Suppose that you knew in advance that a current relationship might develop codependent patterns that saw his casual requests become regularly scheduled demands on you. With this warning, you might be able to spot your part in this pattern while it is in its infancy and take steps to stop it while preserving the relationship. In that regard, the Eight of Cups in the future position might be better news than cards of joy and pleasantries that give you no pause to be disciplined. No Tarot card in a reading is an island. The cards all influence each other. There is a harmony, especially with cards that are next to each other. When there are many other Tarot cards from the suit of Cups around, love and other emotions are being manipulated. This can get old fast. 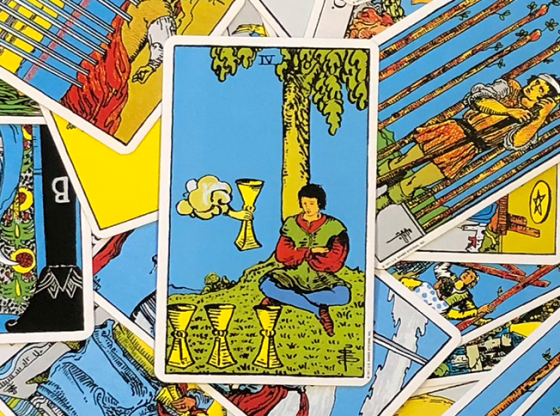 If the suit of Swords is prominent in a reading that features the Eight of Cups, a verbally dominant authority figure is taking the joy out of your life. Avoidance makes so much sense. 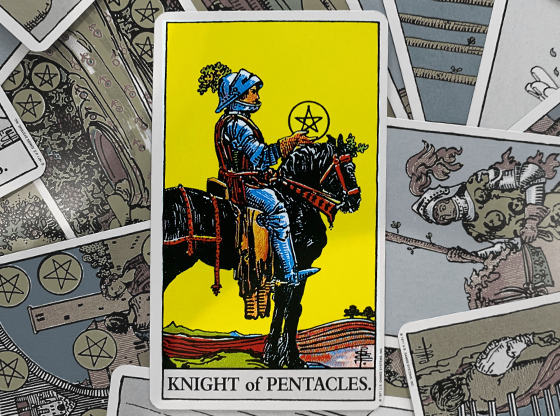 When the suit of Pentacles is prominent in a reading with the Eight of Cups, the loss or absence of money is bringing a relationship to a close. You may have a partner who is in debt or your own spending habits are causing problems in your life that are starting to affect your interpersonal relationships. 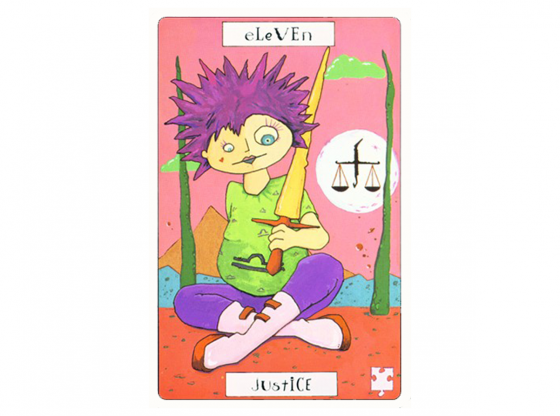 The suit of Wands signifies inspiration and creativity. When the Eight of Cups is in a reading with many cards from this suit, you may have to isolate yourself from people in order to create a masterpiece, or leave home to be accepted as an artist. Many people who start their own business have to leave a comfortable job and take a big risk in starting out on their own. What rewards and adventures await you as you move past that somber crescent moon?